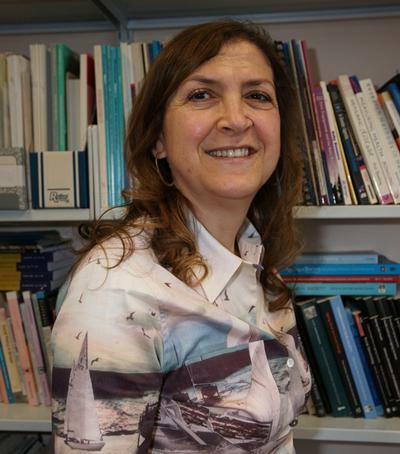 Professor Maria Evandrou is Head of the Department of Gerontology at the University of Southampton. A unifying theme throughout much of my research is the use of a dynamic, life course perspective. My research interests span three distinct but related areas of investigation: inequalities in later life; informal carers and employment; and the retirement prospects of future generations of elders. A unifying theme throughout much of my research is the use of a dynamic, life course perspective. ESRC: Centre for Population Change: I am Co-Director of the CPC, which is currently in the second phase. My collaborative work as part of the CPC focuses on a) Increasing longevity and the changing life course, and b) Understanding intergenerational relations & exchange. For more information, please visit the CPC website. ESRC/ DFID: Understanding Resilience in Later Life in Low-Resource Setting. Maria Evandrou (PI), Isabella Aboderin, Rachel Bennett, Jane Falkingham, and jointly with the Africa Population and Health Research Centre, Nairobi, Kenya (ESRC-DFID funded). MRC/ ESRC/ Arthritis Research UK: Health and Employment after Fifty. K. Palmer (PI), M. Evandrou and colleagues. ESRC/DFID ESRA project: This project, which also involved Dr Vlachantoni and Prof. Falkingham, was aimed at identifying the substantive and methodological lessons of research in the area of poverty alleviation and social pensions, and the gaps where research could contribute in the future. ESRC Pathfinders project: I was involved, with colleagues from Southampton, the Chinese Academy of Social Sciences, the University of Witwatersrand/Agincourt DSS and the Africa Centre for Health and Population Studies, in a project exploring the impact of internal labour migration on intergenerational support and wellbeing of children and older people in China and South Africa. J. Falkingham (PI), M. Evandrou, A. Vlachantoni. NIHR. Ethnic group differences in satisfaction with social care. R. Willis (PI), P. Pathak, M. Evandrou. ESRC project on ‘Understanding quality of life and well-being of older people – Case studies of China, India, Pakistan and Bangladesh’, in partnership with HelpAge International. A. Zaidi (PI), J. Falkingham, M. Evandrou. ANR/DFG/ESRC/NWO with ICSSR: As part of an internationally collaborative project funded by the ESRC with colleagues in the Netherlands and India, I led a project exploring a range of wellbeing indicators for older persons in the context of a globalizing world using nationally representative datasets. For more information visit the Age-Globe Network page. EPSRC The Care Life Cycle: I was part of a research team led by Prof. Falkingham, and including colleagues from Demography, Operational Research and Complexity Science, which aimed to develop a suite of models reflecting the supply and demand for health and social care in the UK. As part of this project, I worked within a number of sub-projects producing empirical evidence for the supply of, and demand for, social care, for example the determinants of transitioning into types of long-term care, the determinants of receiving social care, the socio-economic determinants of the disablement process, and the investigation of unmet need for social care. Visit the CLC website for more details. ESRC SAGE Research Group: Simulating Social Policy in an Ageing Society, jointly based at Southampton and LSE. Co-Director with J. Falkingham, Southampton (PI), P. Johnson (LSE) and K. Rake (Fawcett Society). Nuffield Foundation Lifetime events and the incomes of the older population in the British, German, Swedish and American welfare states. M. Evandrou (PI) with J. Falkingham, Southampton, and P. Johnson, LSE. This project investigates inequalities in income amongst older people. The research used a comparative framework and the cases of Britain, Germany, Sweden and the US are examined. ESRC and AHRB Ageing and Consumption in Britain 1963-1998. M. Evandrou with P. Higgs (PI) UCL, I.R. Jones, St George's, C.J. Gilleard, St George's, R.D. Wiggins, City, C.R. Victor, Reading. The project examined consumer culture across different cohorts in Britain. It was funded under the ESRC/AHRB Cultures of Consumption Initiative. ESRC Growing Older Initiative Family, Work and Quality of Life: Changing Economic and Social Roles. M. Evandrou (PI) with Karen Glaser, KCL. The project was funded under the ESRC Growing Older Initiative. ESRC Modelling Social Policy in an Ageing Europe M. Evandrou with J. Falkingham, Southampton, (PI), P. Johnson (LSE) and K. Rake, (Fawcett Society). The award was used to organise a major International Conference on Modelling Policy for an Ageing Europe. Director of the Centre for Research on Ageing. Co-Director ESRC Centre for Population Change. Willis, R., Evandrou, M., Khambhaita, P., & Pathak, P. (2013). Social care for diverse communities: how current research at the University of Southampton aims to improve the user experience. Generations Review, 23(2), 10-12. Evandrou, M., Glaser, K., & Henz, U. (2002). Multiple role occupancy in midlife: balancing work and family life in Britain. The Gerontologist, 42(6), 781-789. Soule, A., Baab, P., Evandrou, M., Balchin, S., Zealey, L., & Office for National Statistics (2005). Focus on older people. (Focus On Series). London, UK: Palgrave Macmillan. Evandrou, M. (2005). Inequalities amongst older people in London: the challenge of diversity. In V. G. Rodwin, & M. K. Gusmano (Eds. ), Growing Older in World Cities Nashville, USA: Vanderbilt University Press. Yin, Y., Ranchhod, A., & Evandrou, M. (2014). Investigation of older consumers’ overall shopping experience in the UK. British Society of Gerontology 43rd Annual Conference, United Kingdom. Brailsford, S. C., Evandrou, M., Luff, R., Shaw, R., Viana, J., Vlachantoni, A., & Willis, R. (2012). Using system dynamics to model the social care system: simulation modeling as the catalyst in linking demography to care delivery. In C. Laroque, J. Himmelspach, R. Pasupathy, O. Rose, & A. M. Uhrmacher (Eds. ), Proceedings of the 2012 Winter Simulation Conference INFORMS. Radford, M., Vlachantoni, A., Evandrou, M., & Schroeder-Butterfill, E. (2011). A literature review on the usefulness of second life as a pedagogic tool in the postgraduate teaching of gerontology and other policy relevant social sciences In the UK. (Centre for Research on Ageing Discussion Paper; No. 1102). Southampton, GB: Centre for Research on Ageing, University of Southampton.